Elsevier has restored access to ScienceDirect. They blocked access for almost a full day due to “Systematic downloading of significant amounts of data”. Please read about the use of Library-licensed online resources. Do not use automated software to download articles. If you wish to do Text & Data Mining or other high-download activities, contact our Licensing Unit to see what is possible. In some cases, all the Provider needs is notification beforehand. At this time, ScienceDirect (ebooks & ejournals from Elsevier) appears to be blocked for off-campus Access via EZproxy. Access to the Érudit platform has been unavailable since Tuesday, March 21st, 2019 due to a major fire at the Réseau d’informations scientifiques du Québec (RISQ). Technical teams are working to replace the damaged infrastructure as quickly as possible. 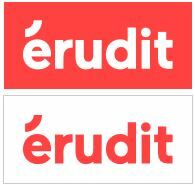 Updates will be shared on the Érudit Twitter account @eruditorg and we will provide notice when access is restored. Off-campus access to ScienceDirect (Elsevier) ejournals & ebooks has been restored via EZproxy. If you had problems yesterday, clear the history (cache & cookies) from your browser before trying to connect. Please clear the history (cache & cookies) from your browser if you had a recent problem with Taylor & Francis ebooks. Off-Campus access via EZproxy is down. We are working on it. Stay Tuned! UPDATE : Access off campus has been restored. Please clear your browser history (cache & cookies) if you were having access problems. PsychiatryOnline is down for off-campus access. This site (with all its ebooks and other content – including DSM-5) can currently be accessed on campus only. The issue is being worked on. Stay tuned! Using Google Scholar with EZproxy (the UBC Library off-campus authentication method) can be tricky. You need to set up a Google Scholar session BEFORE logging into EZproxy. Our Google Scholar resource page (with instructions) is HERE (Google Scholar). Go to Google Scholar and log in, if you have a Gmail account. However, an account is not necessary. If you run into any problems, please contact us via our Help Form including any error messages or screenshots that might be helpful. REMEMBER: Google Scholar does not index (capture) all the resources available from UBC Library. Please use our discovery tool Summon (also from the General tab on the Library Homepage) –and– contact a Subject Librarian to make sure you are finding all available resources. UPDATE : Issue has been temporarily resolved. IF you had problems in the past, please clear history (cache & cookies) from your browser and try to set up a folder now. Contact us if problems persist via our Help Form. Due to technical difficulties that EBSCOhost is aware of (and working on), patrons cannot create an EBSCOhost personal folder while off campus and using EZproxy. To create a folder, patrons must be on campus using a Library computer, UBCSecure Wireless or other computer with a recognized UBC IP address. You can tell if you are at a recognized IP because the UBC crest will appear on the left side of the screen (EZproxy, as mentioned, is the exception. The crest is there, but you cannot create a folder). After you create a folder on campus, you can log into it when you access a UBC Library subscribed EBSCOhost database off campus via EZproxy. We will update this post as EBSCOhost works on this problem. UPDATE #2 : Access to Martindale: The Complete Drug Reference has been temporarily restored on a new site. Access on & off campus (via EZproxy). UPDATE: Access to AHFS Drug Information has been temporarily restored on a new site. However, access is on campus, Library branch or via UBCSecure only. UBC Library has lost access to AHFS Drug Information, Martindale: The Complete Drug Reference and Stockley’s Drug Interactions on MedicinesComplete. We are working on it.